It has been an incredible 2013. 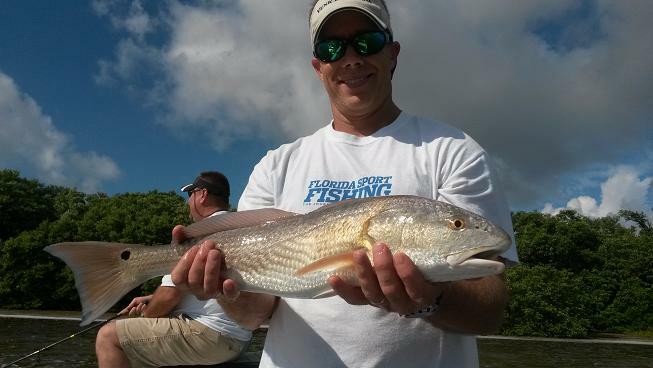 The year has gone by extremely fast and I want to thank all of my customers that fished with me this year! Spending most of my days on the water with clients, running the business and spending time with my family on my days off has kept me very busy to say the least. 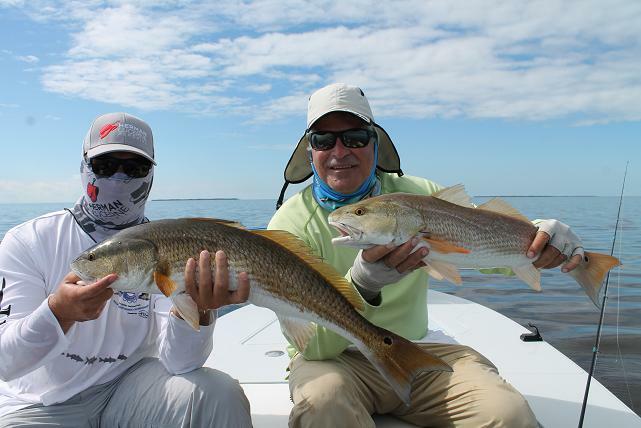 The temperature has gone down a bit in the last couple weeks and the winter time fishing in Flamingo is really starting to heat up. 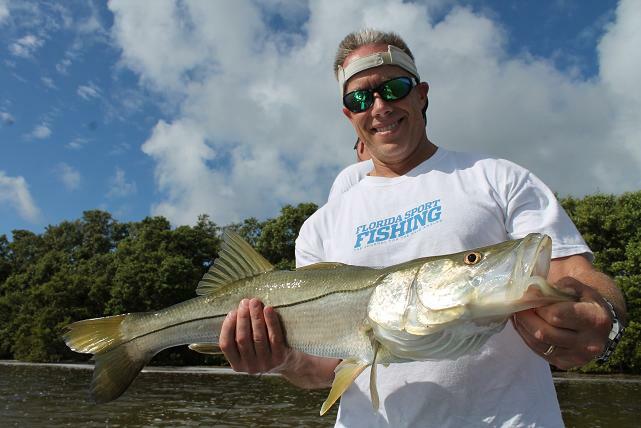 Snook fishing has really come back strong since the 2010 ” freeze”. 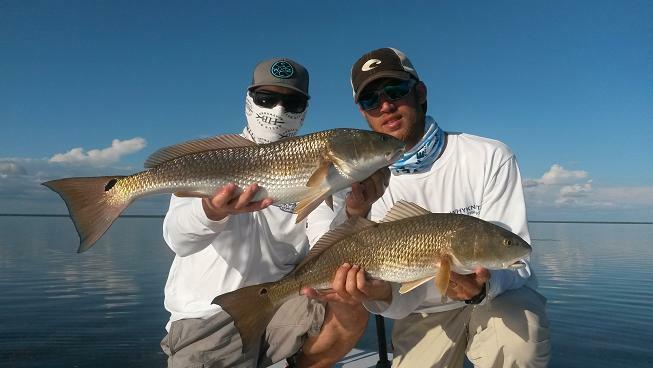 We have had days that we lost count how many fish we caught. 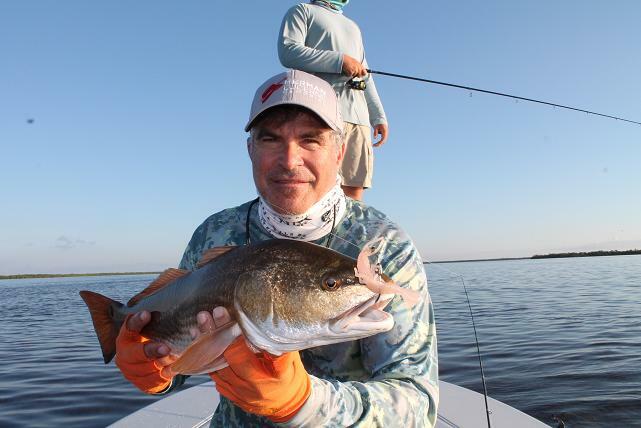 We have also been catching some nice black drum and reds with the water temperatures going down. As things start to get cooler we will be mixing things up and fishing for a little bit of everything in the next couple months. 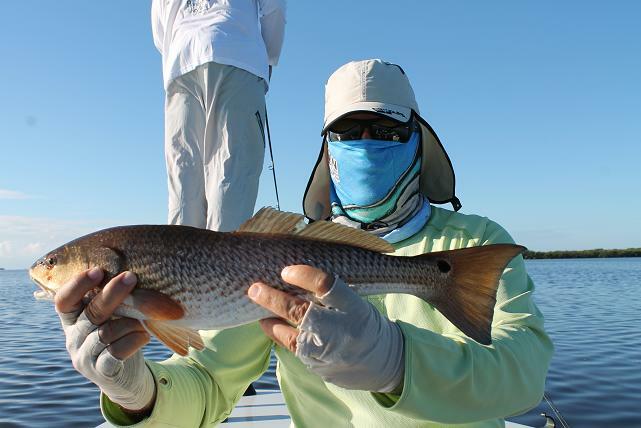 Grouper, Snook, Trout, Black Drum, Triple Tail and Redfish is what we are mainly Targeting in Flamingo right now during the winter months. 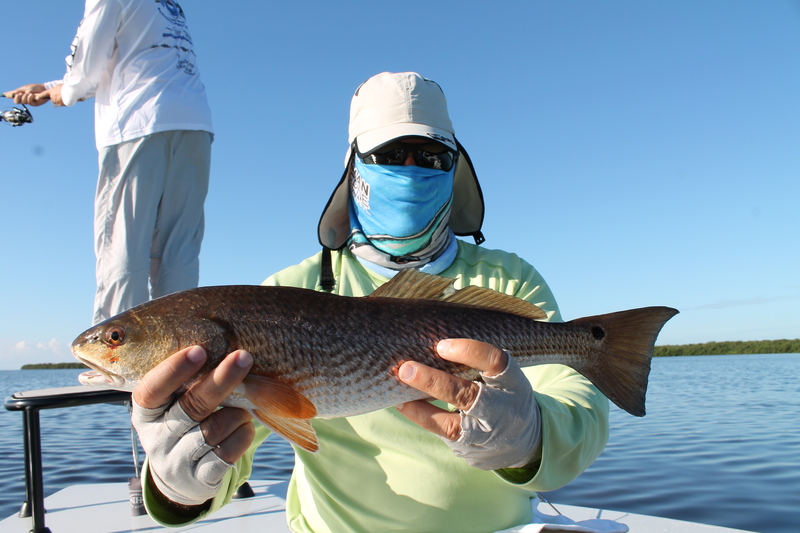 Every now and then we come across a good Tarpon bite when the temps and conditions are right. Things get explosive when the tarpon go off! The fishing is heating up in Flamingo, the bugs are going to be evacuating the park for the most part and it is nice and cool out. Should make for some spectacular days on the water.I hope everybody has a great Christmas and I am looking forward to finishing the year off strong with some good fishing! 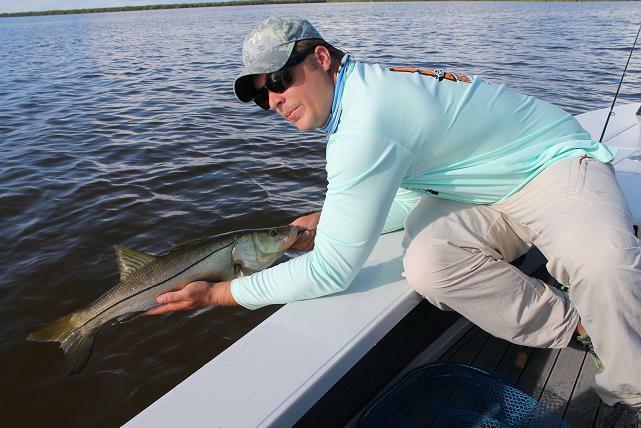 Mike with a solid Flamingo Snook. 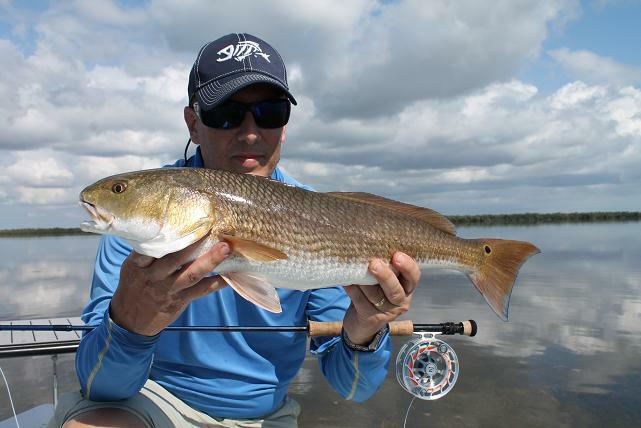 Mike caught this Flamingo redfish to complete his Slam. 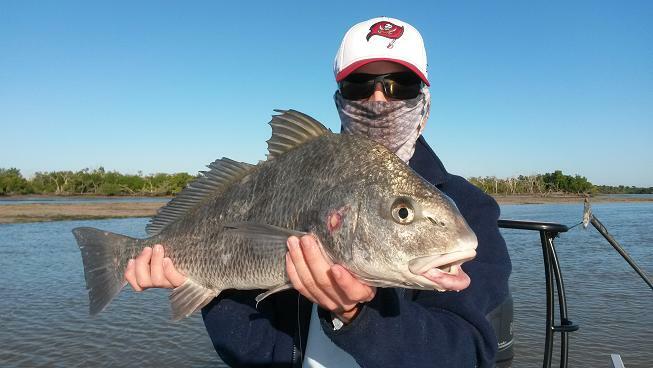 Caleb Bellizio with a Flamingo Black Drum. 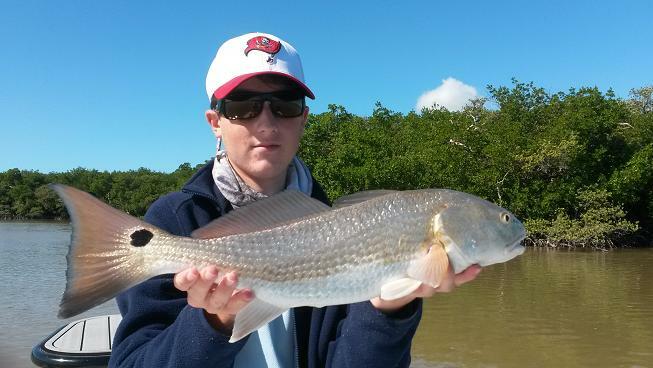 Caleb Bellizio with a Flamingo Redfish.